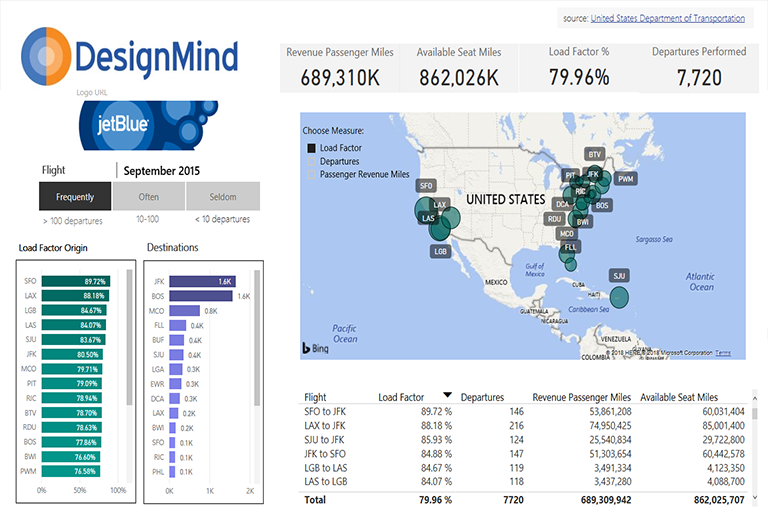 Air traffic statistics from the US Department of Transportation were analyzed with Power BI to uncover best/worst utilized airports by origin and destination. 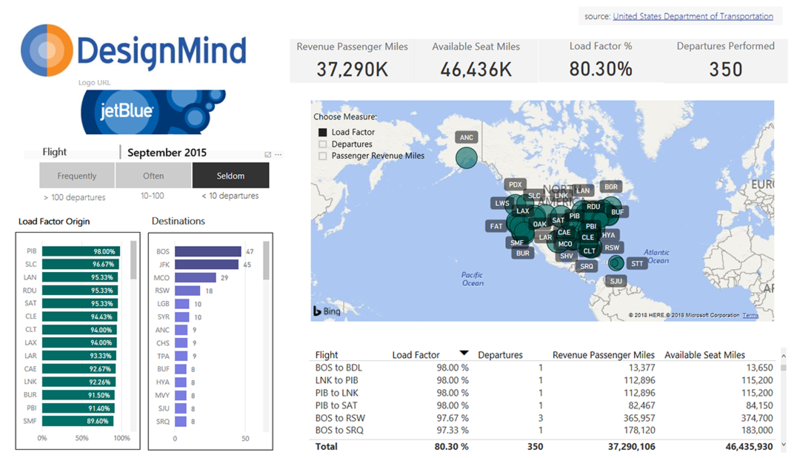 On the top of the Utilization page, we show the Load Factor and Departures for the current month and currently selected Airline (Jet Blue). Using a couple bar charts, we encoded Load Factor and Departures by color and saturation for better detection of the best/worst utilized airports by the naked eye. With the map R-visual, we dive deeper into flight routes by sticking to the same color theme but distinguishing load factor, departures, and originating airports regionally using different marks. 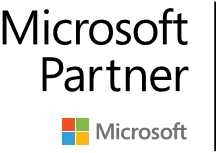 This is all accomplished with R which we’re excited Microsoft now let’s us successfully publish to the Power BI service. 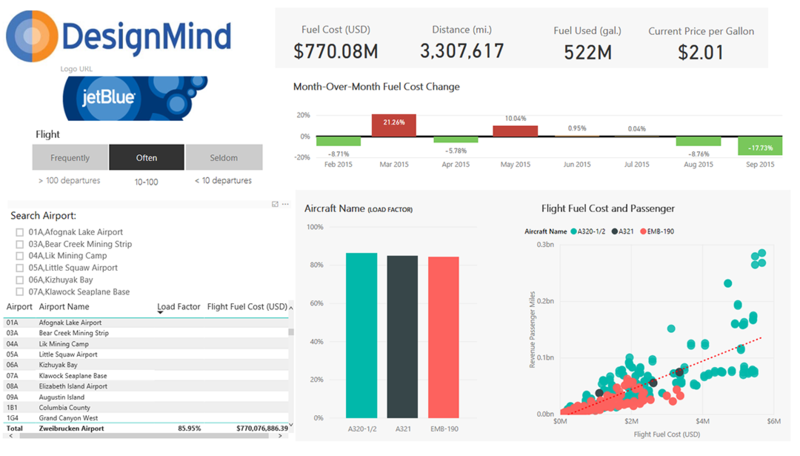 Fuel Costs were interpolated using financial data from the same source and visualized on the 2nd page. Our goal was to visualize month-over-month change for the year by airline, by airport(s), by aircraft, and flight route. Each chart cross-filters the next, starting with the Month-over-month chart, you drill down to the month. 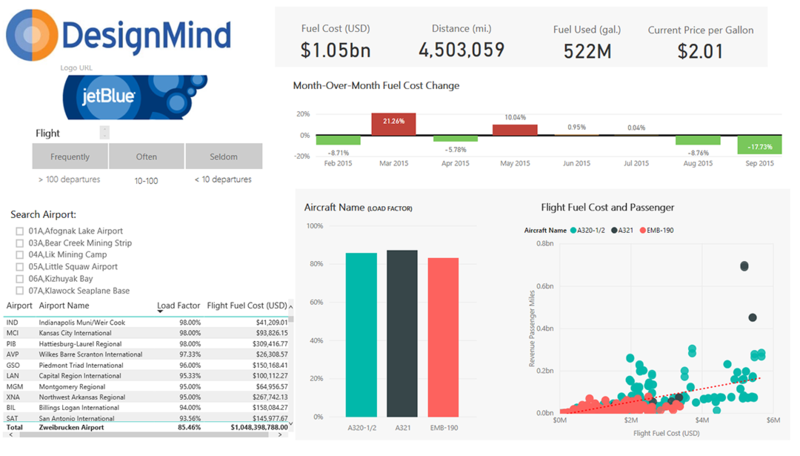 Then using the Aircraft column chart you can see which flight routes produced the highest/lowest Revenue Passenger Miles as a function of Fuel Costs. Airports are also searchable and multi-select.